Hinckley is a large market town in south-west Leicestershire, close to the Warwickshire border. The population grew rapidly over the 18th century, when many residents were framework knitters, from 310 families in 1706, to over 5,000 people by 1801, and the town continued to expand over the 19th century, reaching a population of 6,778 by 1871. The Independent congregation is said to have been formed in 1662, possibly under Henry Watts, and ejected minister from Swepstone, who became a Presbyterian minister at Hinckley. He had been episcopally ordained in 1661 and remained on good terms with Anglican clergy: the Anglican rector of Barwell delivered his funeral sermon in 1691. A total of 18 resident nonconformists were noted in 1676, their numbers dwarfed by the 500 people who conformed. Religious dissent grew with the town, which also attracted people from the surrounding villages to its many different chapels. There were also a small number of Roman Catholics – four in 1676, but 40 by 1829, who had their own church. However, this webpage only looks at Protestant nonconformity within the town. One illegal religious meeting was noted in Hinckley in 1669. This was a conventicle of around 20 Presbyterians, who met most Sunday afternoons in Samuel Ward’s house, under preacher Nathaniel Stevens, an ejected minister from Fenny Drayton. Their numbers included two yeoman with substantial houses taxed on four hearths – Robert Paule and William Brooks, three people with two hearths in their houses – William Venable, T. Robinson, Alex Loosbie and John Hurst junior, and several others, including John Robinson junior, Francis Thompson Marmaduke, Ralph Robinson senior and Ralph Robinson junior. In 1672 Samuel Ward’s house was licensed for Presbyterian worship under the short-lived Declaration of Indulgence. Of the 310 families who lived in the town in 1706, 256 attended church, ‘most of them constantly’, although some went ‘now and then to Meetings’. There were 37 families of Presbyterians or Independents ‘who never come to Church unless at a funeral’, 11 families of Quakers and three of Baptists. The town had two dissenting meeting houses, one for Presbyterians and one for Quakers. By 1709, an ejected minster from Sawley called Billing was the ‘teacher’ at the Presbyterian/Independent meeting house. Nonconformity was increasing in strength. By 1712 there were 45 families of Presbyterians or Independents in the town, who had ‘six or seven’ licensed houses for their meetings. These took place every Sunday and were attended by people from the surrounding area as well as the town. They also held a lecture once a month on a Thursday. Their ‘teacher’ was Mr Bilbey – perhaps the same man as the Mr Billing recorded three years earlier. The Quakers also met in the town ‘in a small number every First day’. There were 6 resident Quaker families, and also two families of Baptists, although the latter had no meeting place in Hinckley. William Beale’s house in 1715, Joseph Kemp’s house in 1718, Samuel Wallis’s house and Elizabeth Woods house, both in 1722, ‘The building of Mr John Burnhall, Mr John Norris and Mr John Brogden & Thomas Davell also in 1722 (presumably they were the trustees of a purpose-built chapel, the date suggesting this may be the Great Meeting), Joseph Pollard’s house in 1766, and Robert Burrell’s house in 1815. Ten Quakers were reported to be meeting in Hinckley in 1829. They still had a meeting house, but in 1846 it was said to be seldom used, there now being no members of the society resident in the town. No return was made to the 1851 religious census, and by 1855 it was reported that the meeting ‘is abandoned’. The Unitarian congregation claimed to have been founded in 1685.Their chapel on Stockwell Head was known as the Great Meeting, and had been built in 1722; an endowment of £30 annually was attached to the church to pay for a minister. Following the erection of a gallery in 1727, the chapel was said to be able to accommodate 700 worshippers, and half those seats were free. The renowned dissenting minister and tutor Philip Doddridge was said to have officiated there in 1722; although he would then only have been a student, Doddridge’s first sermon is said to have been at Nuneaton, just a few miles away, so it is certainly possible that he preached at Hinckley. Congregations had declined by 1829, when the number of people attending was estimated to be 80. Attendance on 31 March 1851 was lower still, at just 40 at the only service of the day. There were also 40 people at the afternoon Sunday school that day. The church admitted that it was suffering ‘pecuniary difficulties’, and as a result did not have a minister of its own. As a result, services were only held in the afternoon, led either by a neighbouring minister or by the chapel’s own deacons. You can find out more about this chapel, and more images, at Hinckley Past and Present. Buildings were registered for worship by those professing to be Independent in 1763 and in 1766. The latter appears to be the chapel at Stockwell Head. The former may also be a purpose-built chapel, or perhaps a barn used while funds were raised for the chapel, as instead of the usual description as the house of a named person, the registration is simply for ‘a building’. By 1829 this was one of three very large churches in Hinckley, with an estimated attendance of 800 at their services. Clearly a large number of people in Hinckley and the surrounding villages were finding their own route to salvation away from the established church. 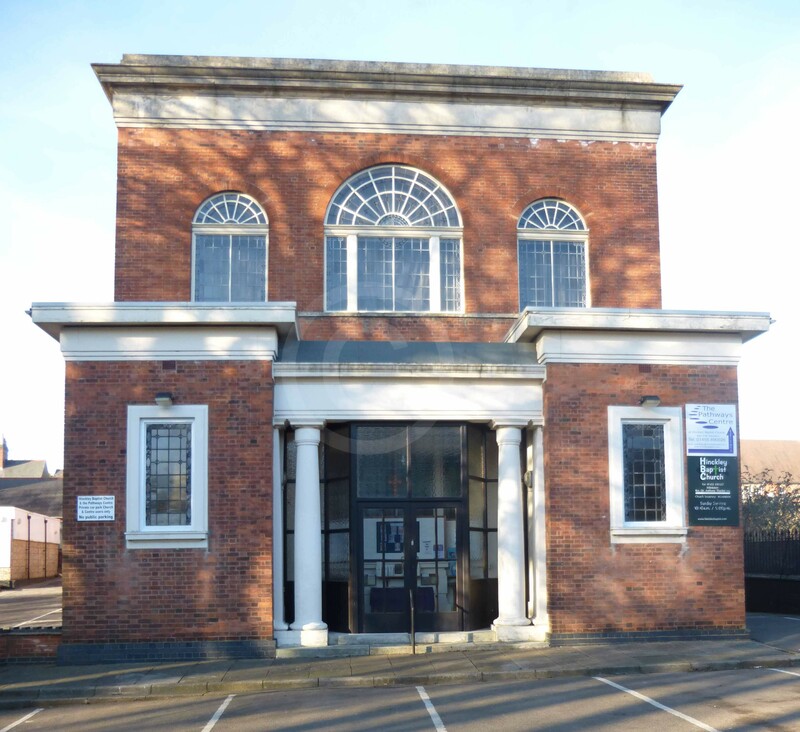 By 1851 there were two ‘Independent Chapels’ in the town, at Stockwell Head and on Leicester Road, both describing those attending their services as ‘Independents or Congregationalists’. It is not clear whether there had been a schism, whether there had always been two separate groups of people, or whether congregation had become so large another chapel was built to serve those living in a different part of the town. The Independent Chapel at Stockwell Head was then the best-attended church in the town. It had been built in 1766, and in 1851 contained 32 free sittings and 468 other seats. Three services were held on census Sunday, with morning, afternoon and evening services attended by 204, 193 and 298 people respectively. There were also 139 people at the attached Sunday school in the morning and 148 in the afternoon. Although no figures were supplied for the average size of the congregation, minister John Kay was at pains to point out that the number attending that day had been recorded accurately, and that ‘If any thing it is below the average’. The Independent Chapel on Leicester Road had been built in 1802, and could accommodate 200 worshippers. On Sunday 31 March it was packed to capacity for the morning and evening services, attended by 200 and 250 people respectively. There was no afternoon service that day. The Sunday school provided lessons to 105 people on that Sunday morning and 110 in the afternoon. No average attendance figures were provided either for chapel attendance or for the Sunday school. This meeting appears to have ceased in the 1860s, when the two congregations may have merged, as it is no longer mentioned in trade directories. Plans were in place in 1863 to demolish the chapel at Stockwell Head and replace it with a ‘new and more commodious building, of Gothic architecture’. However, the replacement chapel was actually built on a new site, with the old chapel becoming an armoury for the Rifles. The new chapel opened in 1868, and had cost £3,300. By 1881 the worshippers were described as Congregationalists. Although two Congregational chapels are mentioned in 1881, that may be an error on the part of the directory compiler. 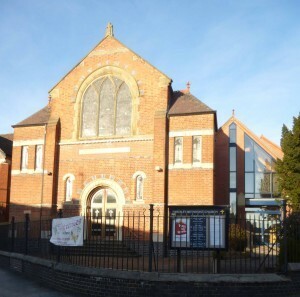 A single Congregational chapel seating 800 people is recorded in 1895. By 1908 it is said to be capable of holding 950 people. William Allt formed a Baptist congregation in Hinckley in 1746. The town was one of many places which had been evangelised from Barton in the Beans, and became a separate church in 1766, following a sub-division of the large area served by the Barton church. A building was registered with the county quarter sessions for Baptist worship in 1769. The General Baptists built a chapel at Stockwell Head in 1807, although directories describe it as being in Spring Gardens. The building cost £1,800. The following year, as numbers of Baptists were declining across west Leicestershire, they were joined by those who had worshipped at Earl Shilton, and the two congregations merged. Estimates by the parish constable submitted to the county quarter sessions in 1829 put the number of Baptists attending services in Hinckley at 800, similar to the number of Wesleyan Methodists and of Independents meeting in the town. In 1851 the chapel was said to have 78 free sittings, 328 other sittings and standing room for a further 60 people. Three services were held on Sunday 31 March that year, with 87 people attending in the morning, 107 in the afternoon and 200 in the evening. The church also ran a Sunday School which met in the morning and afternoon, and was attended by 164 people at each session that day. The number attending church that morning and evening was about average, but afternoon attendances were usually slightly higher, at around 130 people. The usual Sunday School attendance was said to be 182. Between 1881 and 1912 the membership of Hinckley’s Baptist church grew from 129 to 270. There was also a Particular Baptist congregation in Hinckley, with an estimated 30 people attending their services in 1829. 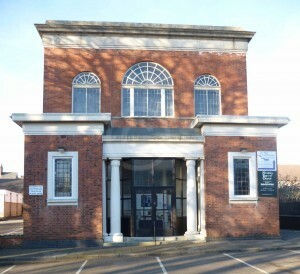 They built a chapel, known as Providence Chapel, on Mansion Street in 1850, which had 60 seats – the smallest purpose-built place of worship on the town. Three services were held on 31 March 1851, with 16 people attending in the morning, 24 in the afternoon and 28 in the evening. There was no Sunday school. The chapel, described as ‘in the Grecian style’ is said to have been sold to the Primitive Methodists in 1854, although there may be some confusion, as it is also said to have been able to accommodate 300 people, which conflicts with the information provided by their own congregation in 1851. It is unlikely it had been extended to such a size, or even replaced, given the small Particular Baptist congregation seen in 1851, and that they do not appear in subsequent trade directories. 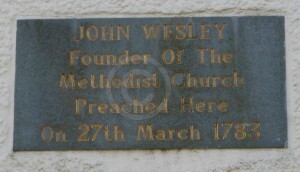 John Wesley preached in the town in 1783. By 1829 the Wesleyan Methodists were one of three very large congregations, each estimated to contain 800 people, meeting in Hinckley. The chapel had been built in 1783, at a cost of £500. In 1851 it had 140 free and 300 other sittings. There were services in the morning and evening of Sunday 31 March 1851, attended by 120 and 224 people respectively. There was also a morning Sunday school that day, which 95 people attended. It was enlarged at least twice, once at an unknown date before 1863, to seat 500 people, and once at some point before 1895, when it had 1,000 sittings. The building has now (2015) disappeared. A Primitive Methodist chapel was built in Three Tuns Yard in 1845. It had 70 free and 30 other sittings, with standing room for 40 more people. There were two services on census Sunday in 1851, attended by 41 people in the afternoon and 101 in the evening. More usually, there was a morning service attended by around 120 people, with no other meetings. A morning Sunday school was attended by 48 people. 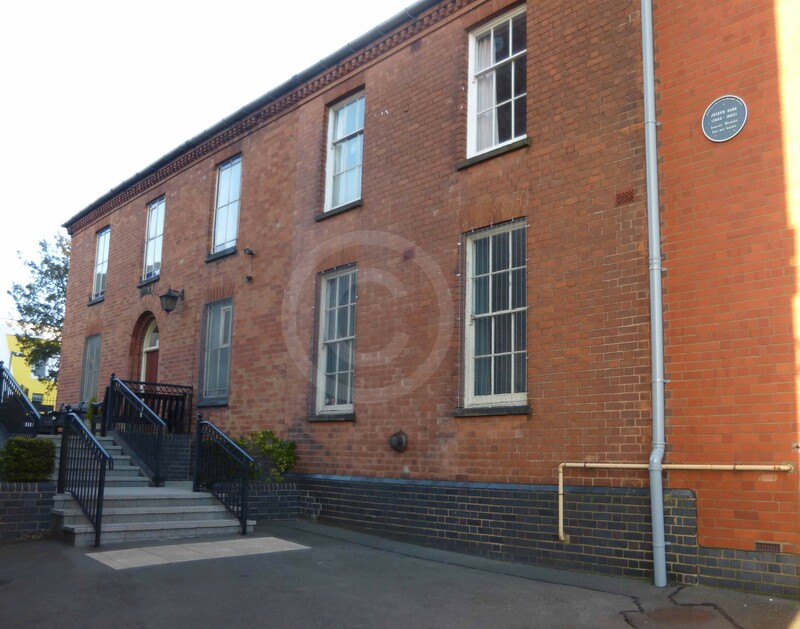 In 1854 the congregation purchased the former Particular Baptist chapel in New Buildings for £300. 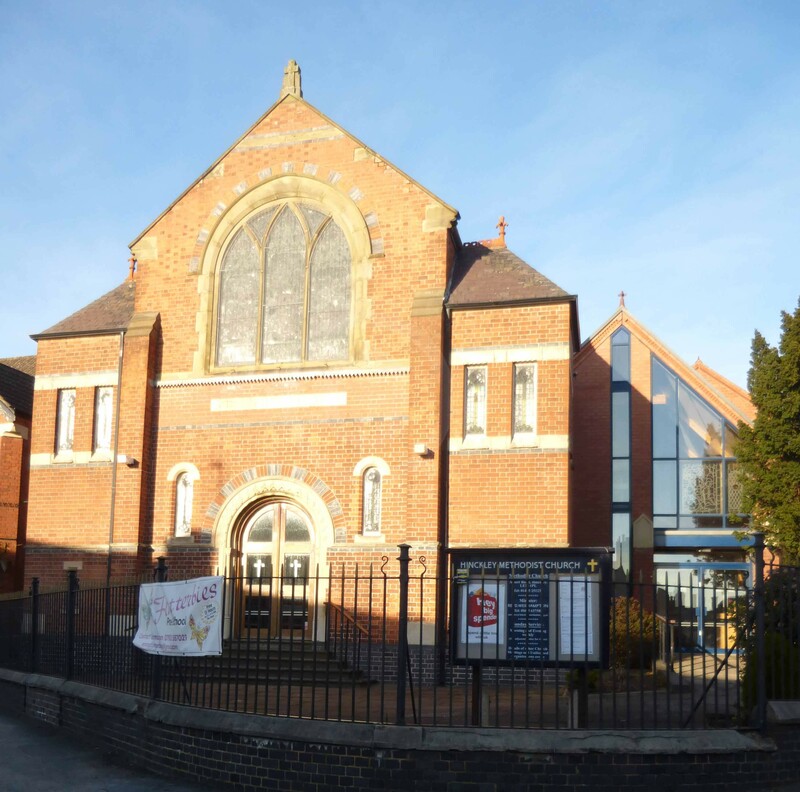 It was said to have had 300 sittings, and may have later been extended, as the Primitive Methodist chapel was said to be able to accommodate 500 people in 1895. Fifty people worshipped in 1829 with a congregation described as ‘Revivalist’. 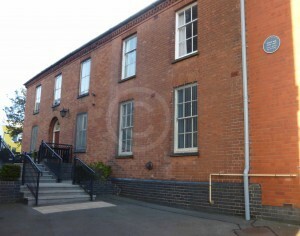 The Salvation Army had premises on Castle Street in 1908. J.H. Pruett, The Parish Clergy under the later Stuarts: The Leicestershire Experience (London, 1978), p. 24. J. Broad (ed. ), Bishop Wake’s summary of visitation returns from the diocese of Lincoln, 1706-1715. Part 2, Outside Lincolnshire (Huntingdonshire, Hertfordshire, Bedfordshire, Leicestershire, Buckinghamshire) (Oxford, 2012), pp. 877-8.